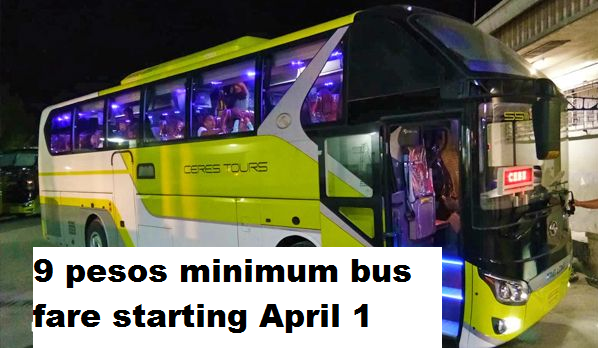 Summer might be little bit more hotter to daily commuters of Cebu and Central Visayas as it was announced, operators will start collecting a minimum fare of Php9 for the first five kilometers of travel and another Php1.55 for the succeeding kilometers starting April 1. "The new rate is more than P3 than the existing minimum fare of P6 for the first five kilometers of travel. Succeeding kilometrs are now charged P1.2," Cebu Provincial Bus and Mini Bus Operators Transport Cooperative chairman Julie Flores as quoted in cebudailynews report.